After 30+ years in corporate IT near Silicon Valley, my husband and I moved to a more rural setting in the Sierra Nevada Foothills of California, allowing more time to indulge in my passion for photography. In 2008, I made the transition from film to a Canon DSLR and haven't stopped shooting since. Yosemite National Park and the buildings and landscapes of Mariposa and Placer Counties in California have supplied endless hours of shooting and post-processing. 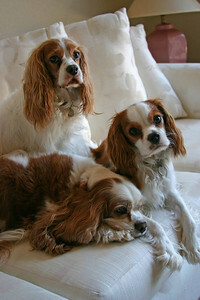 We share our home with Cavalier King Charles Spaniels who provide entertaining mug-shots when I'm not on the road looking for other photographic opportunities.